Aboard the “Kimmy Jo” I was able to make my way up the Willamette River along with our Captain Mike from Scenic Jet Boat Tours. It was an ideal day to be out of the office and on the river. The ride had its share of thrills and excitement (which I’ll get to), but what really amazed me were the history and ecology lessons I learned from Capt. Mike. All along the way he shared fascinating insights about the land, erosion of the river banks, as well as the natural wildlife. Throughout the trip there were many opportunities to see various types of birds as well as their nests, and Mike always made sure to point them out. We were constantly surrounded by osprey on a mid-summer hunt. One dove into the water and caught a fish right in front of us! And our wildlife awe didn’t end there… the best was yet to come. With the engine off we leisurely floated on the boat and had a quick snack. Small cans of soda as well as a box of snicker doodle and chocolate chip cookies, which were amazing. The perfect chance to sit, relax, and enjoy the scenery all around you. It would have been the perfect spot to jump in the water. The thrills came when Mike spun the boat around on the open sections of the river, sprinkling us with a mist, a welcoming relief from the warm sunny day. The journey back from the top of the river also included its fair share of bird watching and not just osprey. We spotted bald eagles at three different spots! They were just sitting on the bank of the river in the trees. Our group sat stunned at the immense beauty before us. Fast spins, beautiful scenery, and a leisurely float. Our trip on the Scenic Jet Boat tour with Mike provided a great balance of wet water fun and perfect views. With trips running year around, I might have to come back again in the fall to see the Willamette River with those great falls colors. 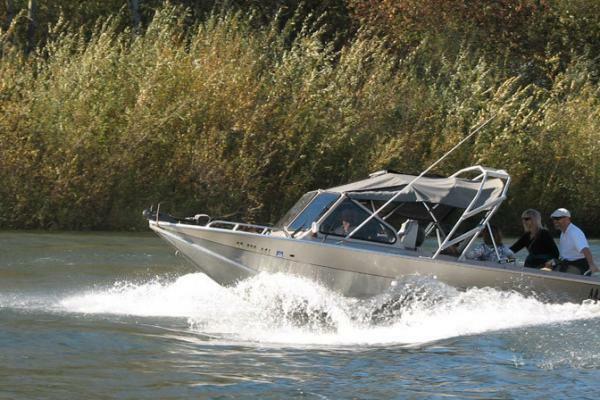 Scenic Jet Boat Tours offers 2, 2 1/12 and 3+ hour tours of the Willamette and McKenzie Rivers year-round. The boats launch in Harrisburg. Call Captain Mike at 541.912.9107 or Captain Cook at 541.409.4299 to book your next trip. 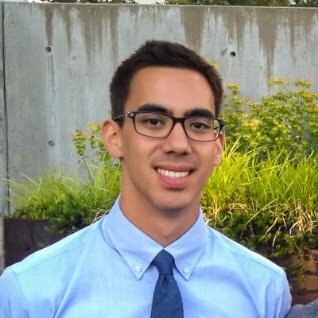 About the author: Marc is the Social Media and Communications intern for Travel Lane County as well as an Adventure Specialist. He grew up in Southern Oregon and now lives in Eugene while attending the University of Oregon. In college he is currently focusing on political science and media studies. While he is unsure what he is going to do after college, he knows that he wants to at least stay in the Pacific Northwest.